For dogs up to a maximum weight of 25kg. Please note - fits best to harnesses with crossback straps and metal ring see diagram, click on images to enlarge. Protect your pet with the “Healing power of Nature” instead of using harsh chemical products. 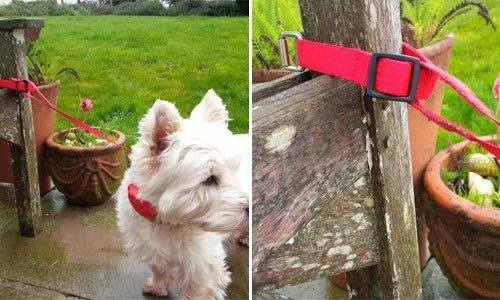 - Repels Fleas and Ticks NATURALLY - No nasty chemicals - Made using genuine unpolished Baltic Amber - Provides protection for up to 18 months [divider_flat] NB – this is a natural product and will vary in form, colour and weight!